There are at least two live-action Mulan movies currently in the works, with Sony and Disney both attempting to bring their version of the classic tale of Hua Mulan to the screen. 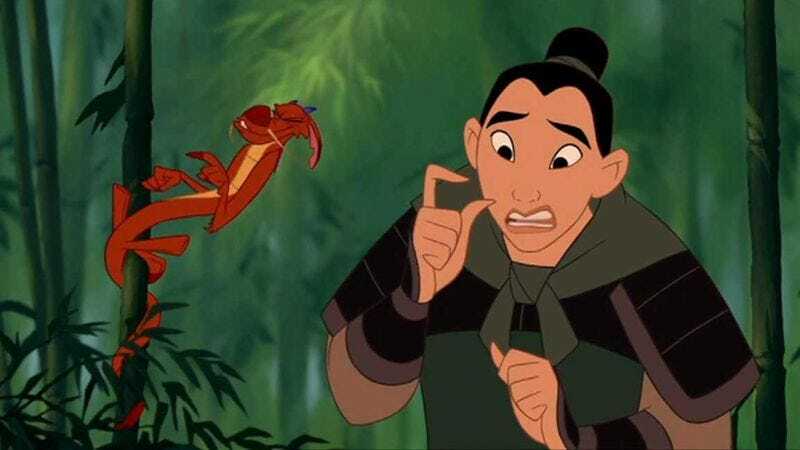 Now, the Disney project’s recently acquired director, Niki Caro, has revealed the somewhat baffling fact that her version of the film will give up one of its key advantages over Sony’s more brutal take: the animated Mulan’s library of songs. That’s per an interview Caro recently gave to Moviefone, in which she confirmed that her film will be “a big, girly martial arts epic” with “no songs right now.” Caro noted that Mulan will also be “extremely muscular and thrilling and entertaining and moving,” but not, apparently, very musical. That’s a departure for Disney’s live-action efforts, which seem at least half-designed to remind parental audiences how much they used to love “A Dream Is A Wish Your Heart Makes” or “Be Our Guest” when they were kids. Meanwhile, somewhere in Utah, a heartbroken Donny Osmond sits by the phone, waiting hopelessly for Caro to change her mind and make a man out of him again.